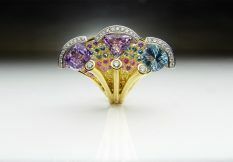 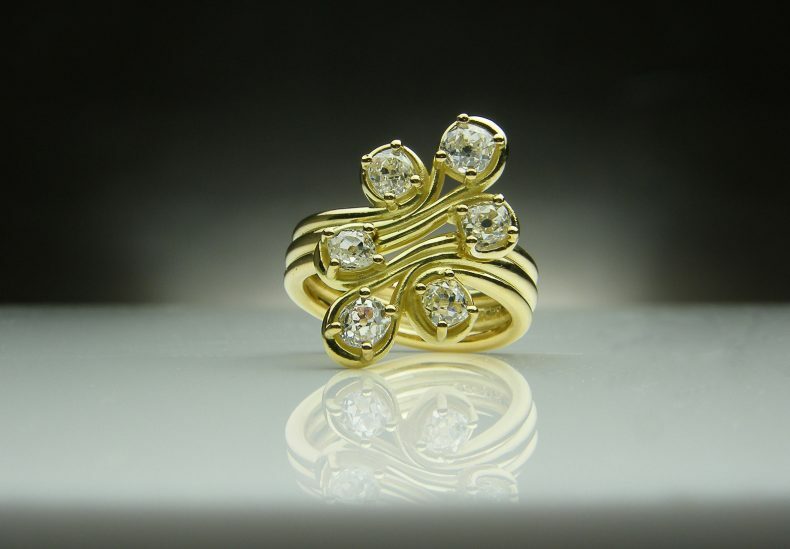 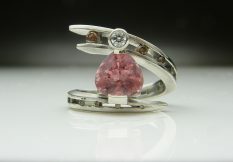 This ring re-uses a selection of old cut diamonds from a client in an organic design that echoes the Arts & Crafts style. 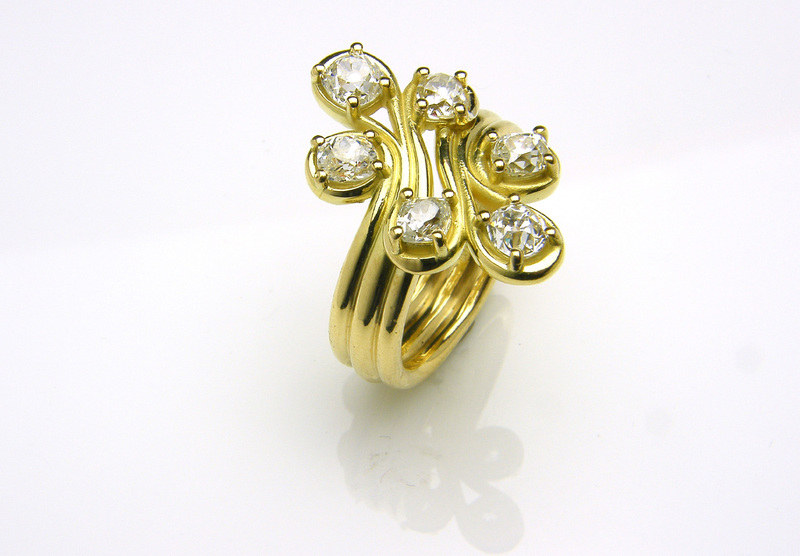 Tapering tendrils of gold flow round the finger then curve around the oval old-cut diamonds which are held in place with small claws, to accommodate their slightly uneven shapes. 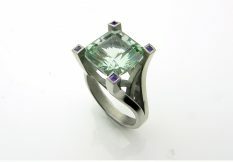 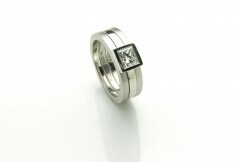 The ring is designed to take advantage of these uneven stones and use them to complement its organic asymmetry.